In order for myofascial release to be successful, an athlete must maintain continuous soft tissue and fascia pressure. There are many different layers of fasciae within the body, but all layers include thin and elastic connective tissues that wrap around structures within the body. The fascia acts as a biological fabric allowing the body to engage in many different movements and positions. For athletes, when the body engages in repetitive motions during a workout, there is a high possibility that the fascial fibers don’t return to their intended pattern, which could cause pain, muscle “knots, or a restriction in movement. The main goal of foam rolling is to lengthen and breakdown fascial buildups in muscles to prepare for a workout and help the body recover. Foam rolling before exercising allows for a more productive warmup by increasing blood flow and releasing tightness in muscles. When athletes roll out painful muscle knots, they should start around the general area and slowly find the most tender spot. Once found, athletes should hold the position and relax for 30 to 90 seconds. As the discomfort begins to subside, athletes should focus on maintaining a firm core. Trying different rolling angles and positions will target alternative areas of the muscle. In a Journal of Strength and Conditioning study, post-exercise fatigue was lower in athletes who foam rolled prior to the athletic test compared to athletes who conducted planking exercises beforehand. Another study found that foam rolling quadriceps improved range of motion around knee joints by up to 10 degrees. Rolling out post-workout is a beneficial habit for athletes to practice daily in order to release toxins from the muscles and reduce potential soreness. If utilized correctly and consistently, athletes will reap the benefits of this self-directed therapy. 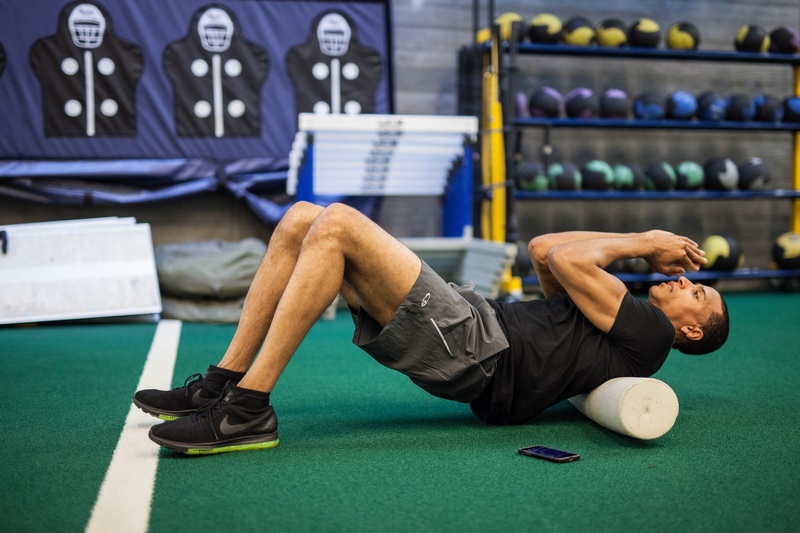 Foam rolling is a productive way to enhance athletic performance by helping muscles warm up, prepare for daily workouts, and recover more efficiently after exercising. The main goal of this therapy is to release built up tension in muscle tissue and rid the body of painful knots. A good article that can explain why foam rolling is important can be found here. Other beneficial recovery options can be found in this article. J Strength Cond Res. 2014 Jan;28(1):61-8. doi: 10.1519/JSC.0b013e3182956569. The effects of myofascial release with foam rolling on performance. Healey KC, Hatfield DL, Blanpied P, Dorfman LR, Riebe D.
J Strength Cond Res. 2013 Mar;27(3):812-21. doi: 10.1519/JSC.0b013e31825c2bc1. MacDonald GZ, Penney MD, Mullaley ME, Cuconato AL, Drake CD, Behm DG, Button DC.